Cog 3D Thread prevents wrinkled skin with the equal pull caused by stress dispersion during a procedure. 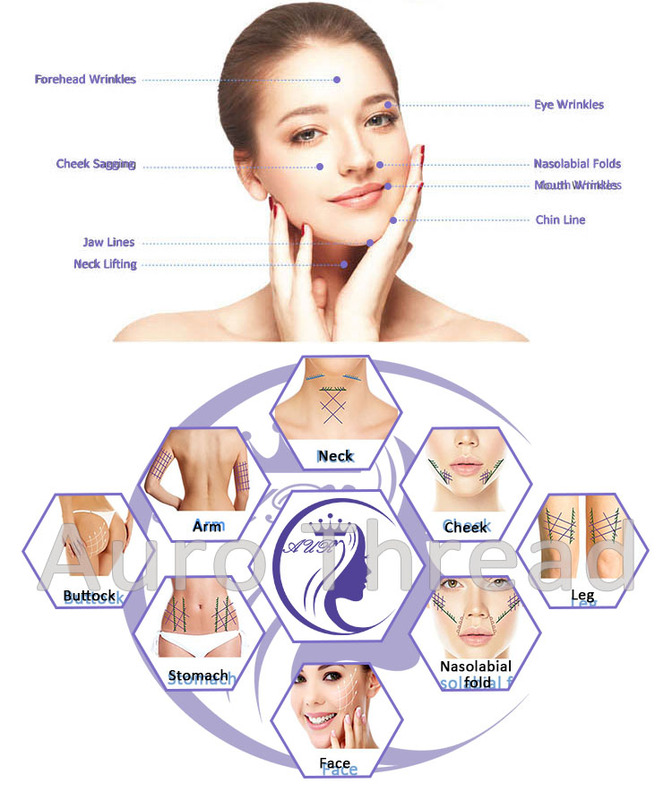 It also cuts down side effects of breaking through skin caused by a mass of short cog, and minimizes inflammatory response by inserting thin Cog V Line Pdo Thread Lift Korea. 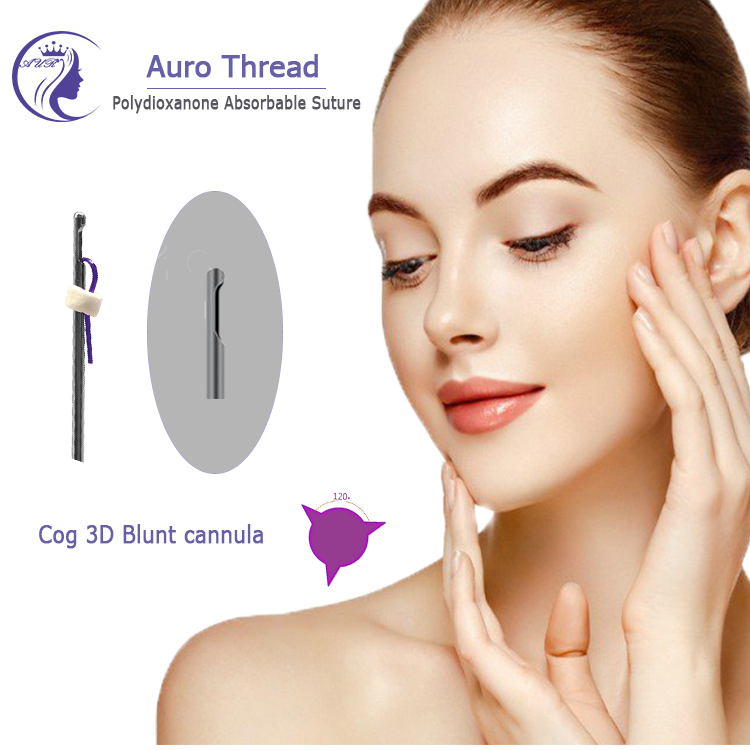 As a new type of Cog Thread PDO with process produced by inserting short two-way process into Cog 3D Thread PDO, pressure that the tissue delivers to thread is effectively dispersed because of holding effect of short process, and finally adequate tissue contouring is also possible. Pdo face thread lifting cog thread are essentially mono threads with barbs to hook to the underside of the skin. The barbs form a support structure that lifts the sagging tissue. 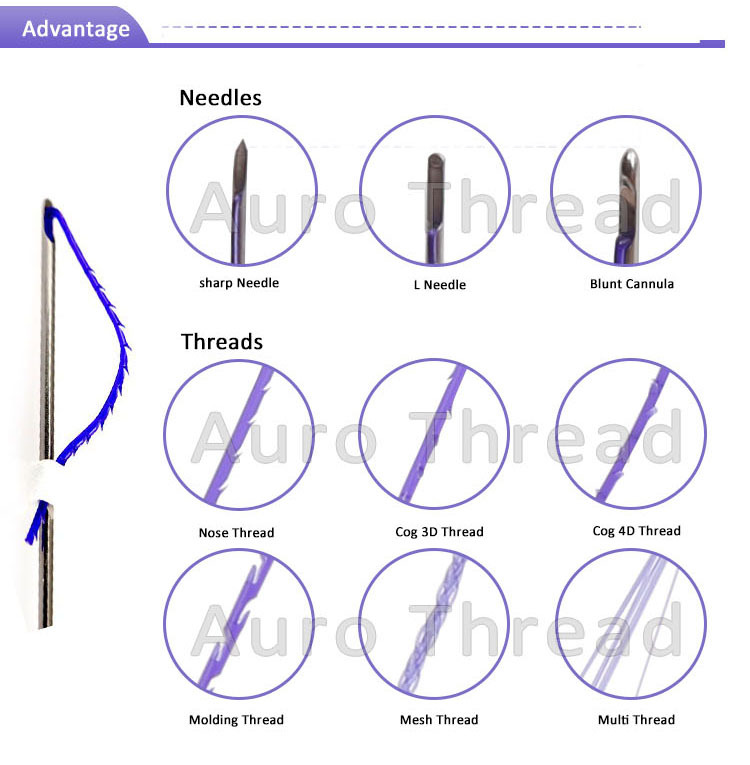 Unlike mono threads, cog threads do not need anchoring points. Collagen formation can also occur around the threads and their barbs. Cog threads are most effective for jawline lifting and slimming. What are cog thread pdo? 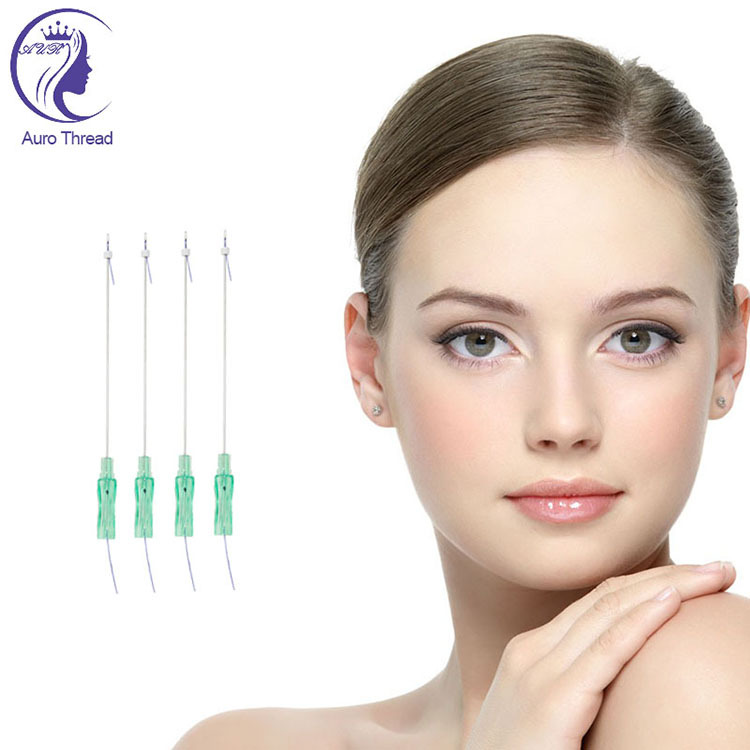 PDO Thread lift uses a variety of barbed threads to achieve a lifting effect. These threads are made of polydioxanone, a type of sugar, which is why they are called PDO threads. The benefits of using this type of thread is that it makes it is absorbed by your body over time and reduces complications over time. Tiny barbs along the threads allow the skin to be pulled and set in place creating a supportive and lifting effect on the face or body. IS A cog 3d thread Lift SAFE? The short answer is yes, a thread lift is safe when performed by an experienced, skilled, and ethical physician. The most important safety factor in modern thread lifts is that the threads are dissoluble. Lifting threads are made from the same material as surgical-grade absorbable sutures used routinely in a variety of surgical procedures. PDO (polydioxanone) threads unlikely to cause lumps and inflammation as can occur with other types of threads. The PDO threads are absorbed by hydrolysis over a period of 4-6 months. 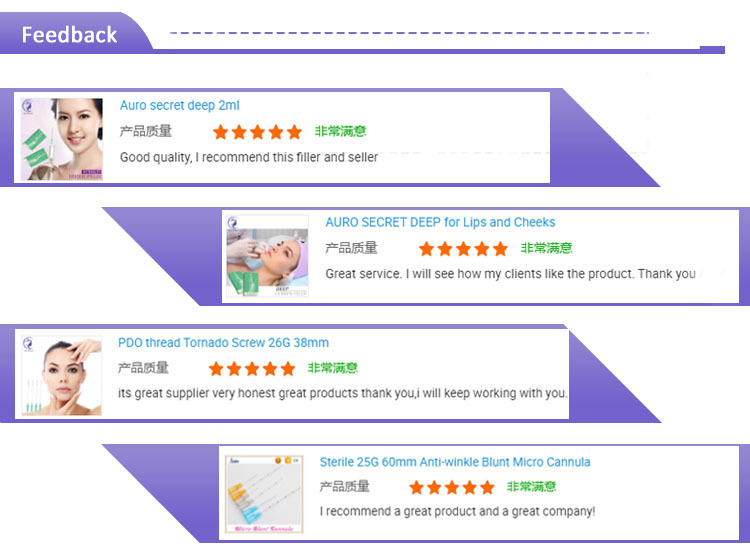 Auro technology limited is professional in aesthetic medical technologies.The company sells its products under three distinct series,Auro thread PDO, Auro secret Dermal Filler and blunt cannulas. 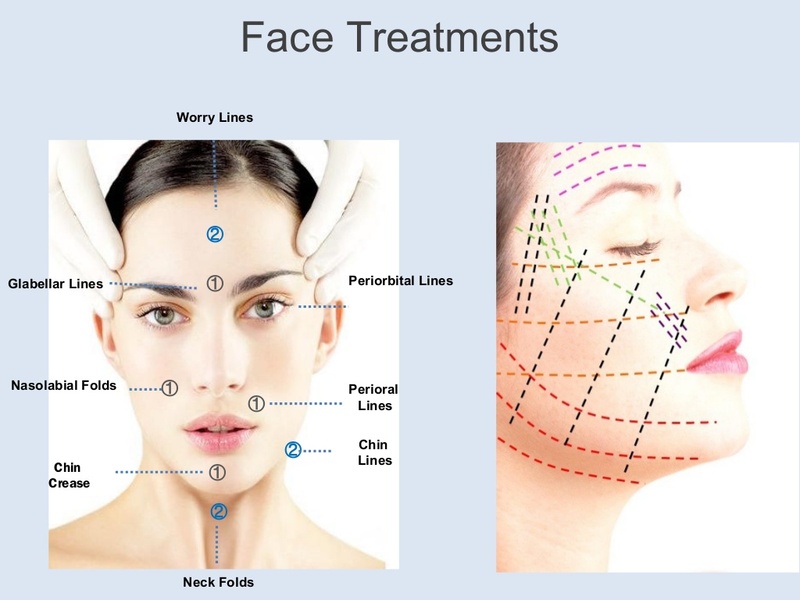 Auro technology enables physiscians to provide excellent solutions for a broad range of medical-aesthetic applications including face and body reshaping,resurfacing skin, eliminatiing fine lines or wrinkles treating scars, or removing unwanted hair. We have built in the easy of use, versatility, intuitiveness and value that allow physicians to do what they do best. 1. How long do the Cog Thread Lift Face results last? The threads will remain in the skin for 6 months.Collagen stimulation and lifting will persist even after they are being fully absorbed.With proper care,the lifting effect will still last for another year or more, giing a total effect of approximately 2 years. 2. 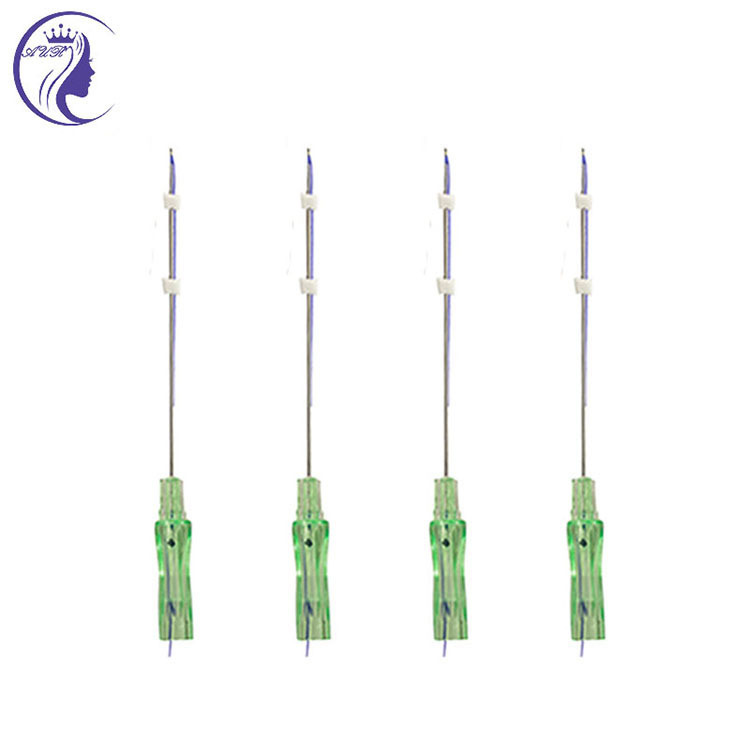 How long can we receive the Blunt Cannula 3D Cog Thread? 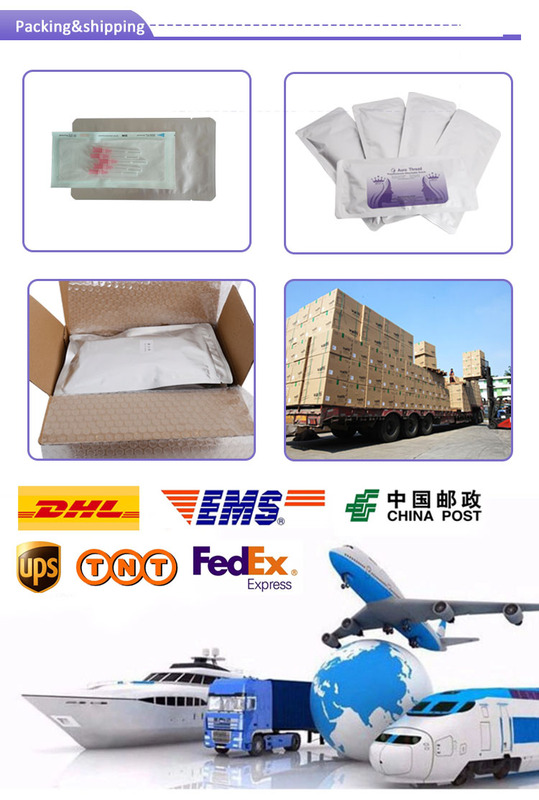 Usually we ship our PDO threads by DHL,EMS,E-packet,FEDEX. It will take about 3-7 days after the parcel be shipped. 3. Can I put my own logo (OEM) on Bi Direction Cog Pdo Threads packing? 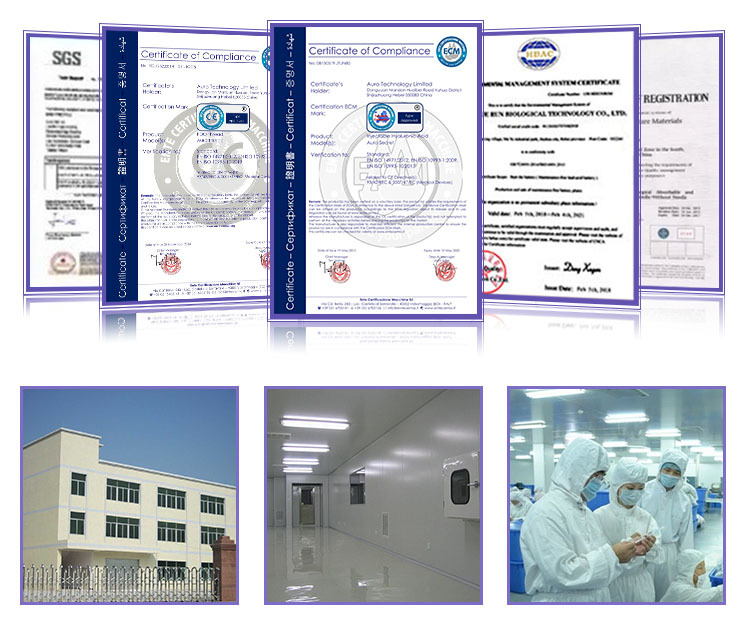 Yes, OEM is welcomed.We can custom packing and logo for you if the order quantity meet MOQ. Looking for ideal Cog 3D Thread Manufacturer & supplier ? We have a wide selection at great prices to help you get creative. All the Cog Thread Pdo are quality guaranteed. We are China Origin Factory of V Line Pdo Threads Korea. If you have any question, please feel free to contact us.